While we obviously never want to have to think about our belongings being taken from us, it's always wise to consider prevention and safety. And when it comes to protecting valuable assets such as jewelry -- whether it's the expensive kind or the sentimental variety -- Casoro Jewelry Safes, located here in Southern California, is a stylish alternative. Did you know that jewelry accounted for the most homeowners' insurance claims in 2011, according to the Insurance Information Institute? That was even ahead of electronics and furniture. 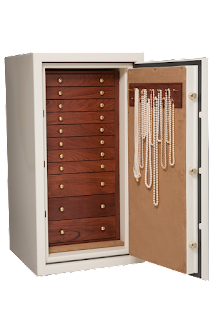 Casoro offers a wide range of jewelry safes that are sturdy (315 pounds to over 1,000 pounds, depending on what you need), sport a variety of colors (love the ivory one, pictured above) and an option for fire protection. While price points start at $2,595 and move upwards to more than $5,000, this family-owned business in Santa Ana is eager to make purchases personal. In fact, it was one of owner Shep and Nancy Bryan's local customers who suggested developing the specialized jewelry safe. 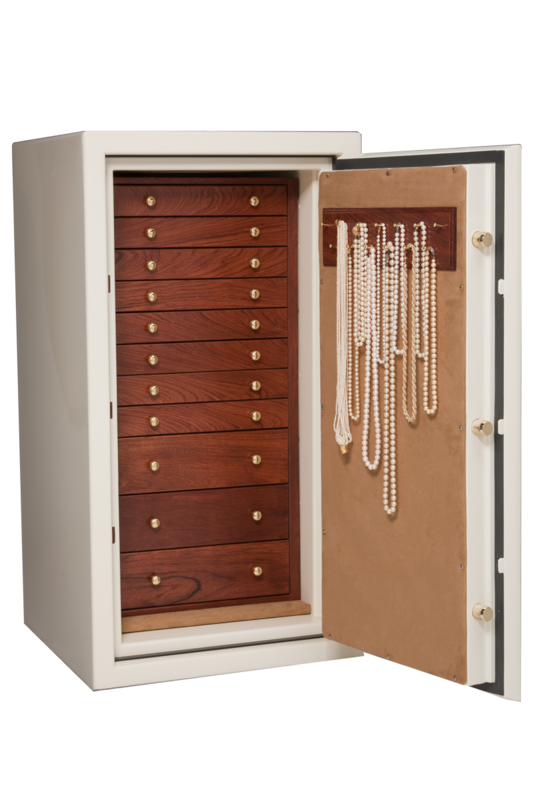 For more information and what you should consider before buying a jewelry safe, take a look at the Casoro Jewelry Safes buying guide. Congrats to Katherine Applegate and Jon Klassen, who won top honors in the children's lit category. 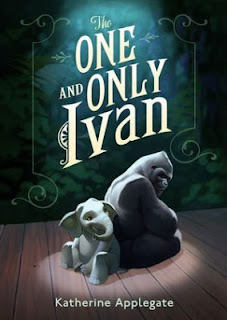 Applegate took this year's Newbery Medal for her book The One and Only Ivan, Klassen won the Caldecott Medal for his illustrations in This is Not My Hat. Ivan tells the story of Ivan the gorilla, who lives within glass walls at a video arcade. While he doesn't really miss his home in the jungle—he thinks about art mostly—he begins to reconsider home when a baby elephant arrives, alone and without her family. 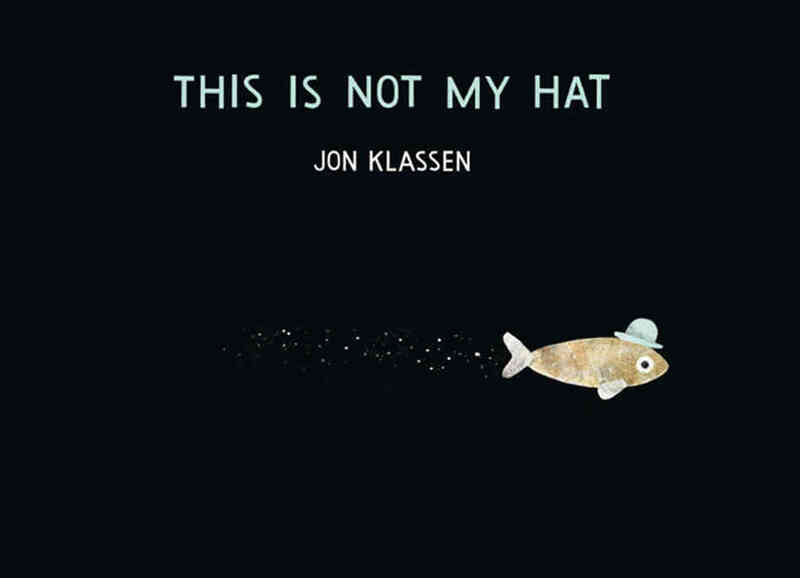 Klassen took the award for his illustrations in This Is Not My Hat, about a tiny fish that steals a hat from a huge—but sleeping—fish. Congrats! And can't wait to read these to CC. UPDATE: Congrats to noreen, who won the Toy Story Zing-Ems Playset! And sorry for the delay in announcing the winner. (How long can I blame baby brain? 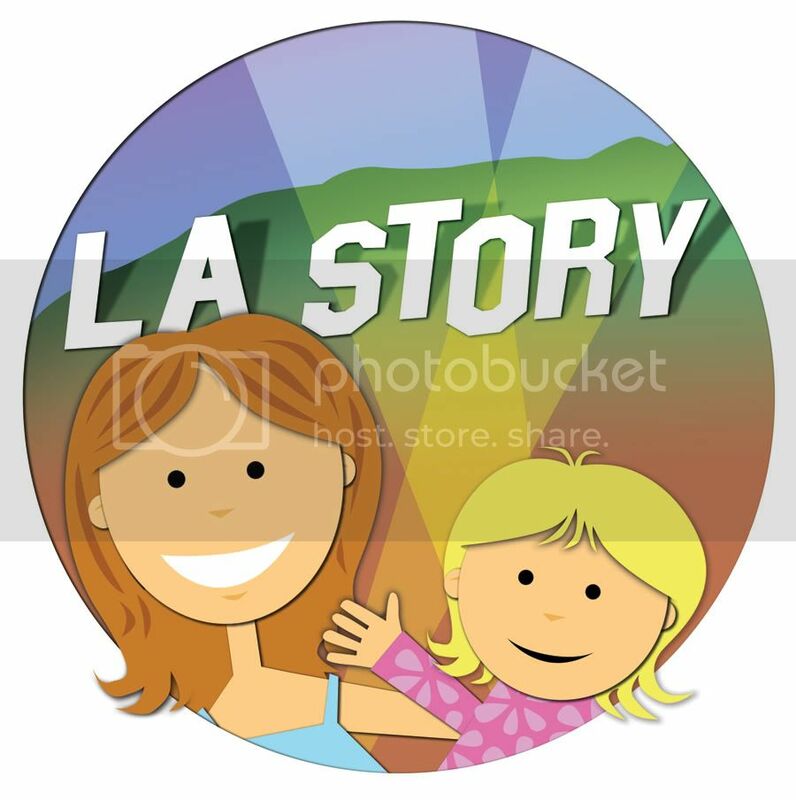 :) Please email me at losangelesstory@gmail.com with your mailing address. Thanks to everyone who participated! It was a fast-moving and bumpy race to the finish, as CC pitted Buzz Lightyear, Jessie and Rex (or Trixie, as she calls him) against each other during playtime with Mattel's new Toy Story Zing-Ems Playset this weekend. The new playset (SRP: $14.99), which we had the chance to review thanks to the Mattel Disney Insider program, combines pinball-inspired action with cute 2-inch versions of Buzz Lightyear and the Toy Story gang (SRP: $6.99 per two-pack) for a portable kid-friendly thrill ride. CC turned it into a race between the three characters, and you'll see that Trixie/Rex was the winner. 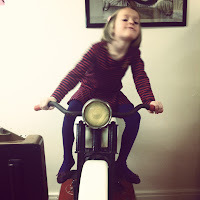 She had a great time flinging the figures around the space-age race track, placing obstacles in their path and generally wreaking havoc at the dinner table. The playset is a fun opportunity for getting kids to use their imaginations. Whether it's a race for points or a chance to see how many times each character can get around the set in one minute, kids ages 3+ should have lots of fun with this one. 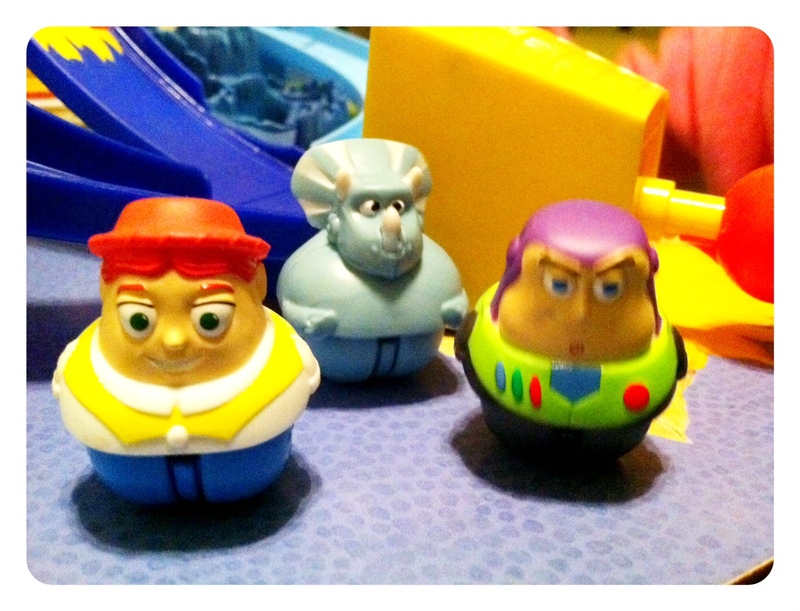 I'm giving away 1 Toy Story Zing-Ems Playset, which includes a Buzz Lightyear figurine. To enter, leave a comment below telling me your child's favorite Toy Story character and why. Good luck, and I will announce the winner on Monday, Feb. 4! CC strikes a dramatic pose in front of the candy machines at The Yellow Balloon. Nestled into a row of businesses along Westwood Boulevard is a bright yellow door that opens to reveal a kid-friendly salon full of toys, chatty parents and welcoming stylists. 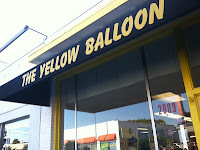 The Yellow Balloon is an adorable shop that, admittedly, you might miss if you're not looking for it. But step inside, and you'll realize why it's been a Los Angeles favorite for more than 40 years. While the actual cut is important to me when it comes to CC's hair, there are so many more elements that make a great experience. Did the stylist listen? Was s/he nice to my child? Did everyone make us feel at home? Were there toys for kids if we had to wait (which we didn't have to)? The Yellow Balloon gets a thumbs up for all of that -- and another high-five for having tons of games (vintage Star Wars pinball machine! 10 cent stationary motorcycle rides!) that could even appeal to parents as well. I chatted with the new owner, Dadli Yashar, who invited CC and me in for a visit and a cut. Having grown up in LA and gone to The Yellow Balloon as a child, this young, design-minded Angeleno was a natural choice when the original owners decided to sell a year and a half ago. At the re-opening, she even hosted an animal petting zoo for the kiddos. 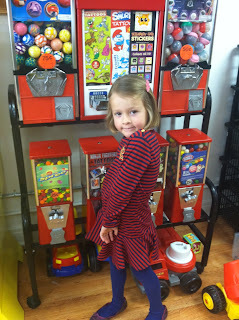 Yashar said it was important to her to keep an element of the past -- note the vintage toys! -- while also looking toward the future with small updates like new seats. But what's really important is keeping the neighborhood feel, one that welcomes kids and their parents before and even after the cut (which, for kids, is $25 and $35+ for adults). And speaking of the cut, it was lovely. CC asked if she could have just a little trim because she's trying to grow out her hair. The stylist was kind and very accommodating, even giving her a couple of barrettes that she could take home. After the cut, CC felt so at home that she didn't want to leave. That's what lots of toys -- and lots of kids -- will do. 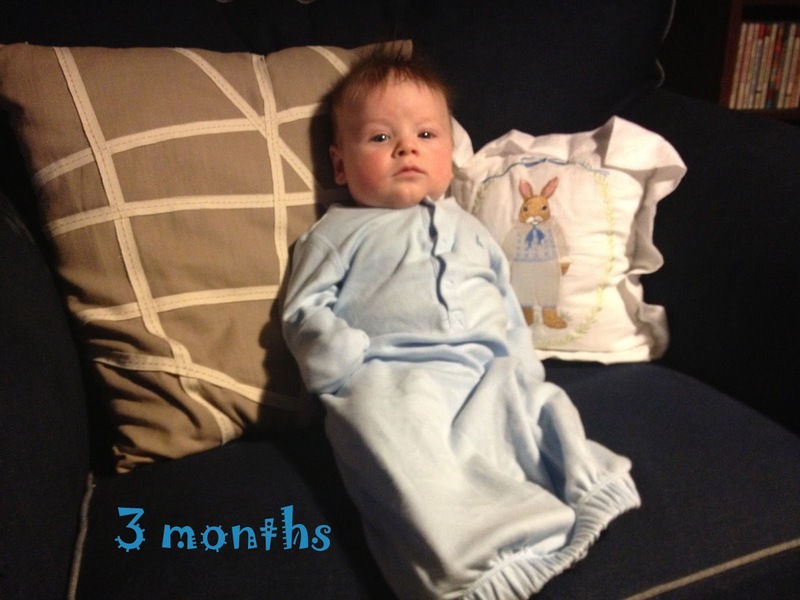 Baby Will at 3 months. Well, the little guy just keeps growing. It's pretty amazing to look back at the last two photos -- especially at 1 month old! He's doing so much -- making adorable "goo" sounds. In fact, we've started calling him Mr. Goo. CC still calls him "Baby" or "Babes." Sometimes "Poo Baby" -- probably not his favorite. He also loves to smile, which totally makes my day. In the last few days, he's tried to turn over and makes it mostly onto his side. The funniest thing is probably the baby rage he shows when he gets hungry, or "hangry" (that is, so hungry he's angry). It's funny because he's such a laid-back baby otherwise. And it's not as if we're waiting so long in between feedings. I'm talking three hours on average. But once the bottle touches his mouth, after instant screams and facial contortions, he's totally OK. Like instantly. Babies are funny. Love him. 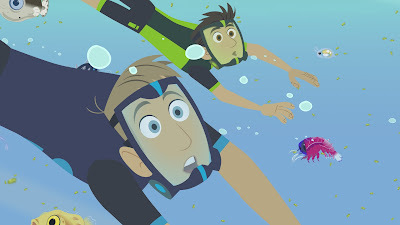 Watching an episode of the adventurous Kratt Brothers can make kids do funny things. Like funny "ha ha" things. In the brothers' latest animated special, Lost at Sea, the guys dive deep into the ocean to explore some of the smartest animals on Earth—dolphins. CC got the chance to watch the DVD, courtesy of PBS Kids, and she loved it. Especially the episode (one of two) titled Speaking Dolphinese. I'm not kidding when she tried to communicate with Ian and me in Dolphinese. She found the "eek eek"-ing noises so funny, she decided to interpret her favorite songs so that dolphins could understand, too. Carly Rae Jepsen and Justin Bieber? Yeah, you guys have now been "dolphinized." Bet that's a first! The one-hour science special also features an episode called Blowfish Blowout, which has the brothers shrinking to the size of plankton and visiting the coral reef. Check out the special, which airs on Jan. 21 on PBS Kids (check local listings). The DVD (SRP $9.99) will be available on Jan. 22. Calling all Little Einsteins! Lakeshore Learning, that cool shop for educational toys and other products, will be hosting a free Science Fair event on Saturday, Jan. 19 from 11 a.m.-3 p.m. at its Venice Boulevard location. 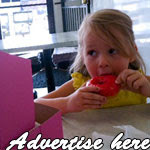 Activities on the schedule include hands-on fun, live science demonstrations and experiments for kids. Kids will also get to participate in a craft activity, such as making and decorating their own thermometer, exploring magnets and simple machines. We're going to try to make it out! Hope to see you there. Lakeshore Learning Store Science Fair! 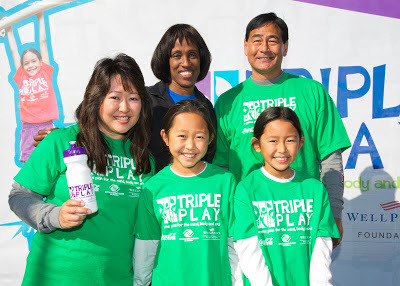 Olympian Jackie Joyner-Kersee congratulates the Takanishi family, who won Boys & Girls Clubs of America's Triple Play Fit Family Challenge, sponsored by Anthem Blue Cross Foundation and Coca-Cola. When it comes to health and fitness, Olympian Jackie Joyner-Kersee is an expert. She's still inspiring kids and families with her dedication to health. In fact, last Saturday here in L.A. she oversaw the Boys & Girls Club 3rd Annual Fit Family Challenge, which was supported by Coca-Cola and the Anthem Blue Cross Foundation. The challenge had five families competing to win the Triple Play challenge, which spotlights the mind (healthy choices), body (physical activity) and soul (healthy relationships). I had the chance to talk to Joyner-Kersee about her inspirations—and which of her Olympic medals is her favorite! She said the most important message for kids is simple. "(It's) the Boys & Girls Club philosophy of mind, body and soul—the triple play." What that means, she said, is "getting families to be engaged, to make healthy choices and to challenge themselves." Keep in mind, we're not talking about weight loss, per se, or the The Biggest Loser mentality. "It's teaching the families that these are tools that we can use for the rest of our lives," she said. "We can encourage others and have activity with every day of life." As a mom, though, I know how hard it is to schedule time to stay fit and healthy. But Joyner-Kersee says that it's all about prioritizing. "We can make time for everything else, but we have to make time for family," she said. "Maybe one Sunday after church maybe go to the park. Be inclusive of one another, and make family a priority." Another priority is sticking to those fitness resolutions even after the motivation of New Year's Day has passed. How does Joyner-Kersee stay motivated, and how can families do the same? "It goes back to goal-setting," she said. "If I could see myself improve by 1/2 an inch when I was jumping or a few seconds when I was running, I would build on that." She also added that you have to stick with it "every day and (find) something positive and have that be the building block, something small. Build on small pieces and leave room for growth." "It's easy to say the gold medals," she said. "But I'm most proud of the bronze medal from the '96 Olympics because I was injured. When you believe in yourself, you turn a downer into a believer. I was able to turn around because of my mindset. I was still going for the win, and I was able to get the bronze. If I had gone for the bronze, I would have ended up 6th." After giving the thumbs up to Disney Junior's newest series, Sofia the First, CC got the chance to try out the Sofia iPad app, courtesy of Disney. The app offers up an adorable and interactive story about the little village girl-turned-princess (voiced by Ariel Winter), who has to adjust to a few growing pains as she's moving into the castle—namely figuring out why her new sister, Amber, is so grumpy. 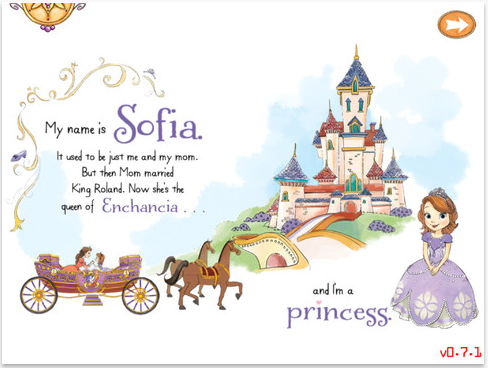 Showing lots of heart, little Sofia learns a big lesson about making strong family ties. Besides the story itself, the app includes interactive features, as characters dance and move on each (electronic) page. 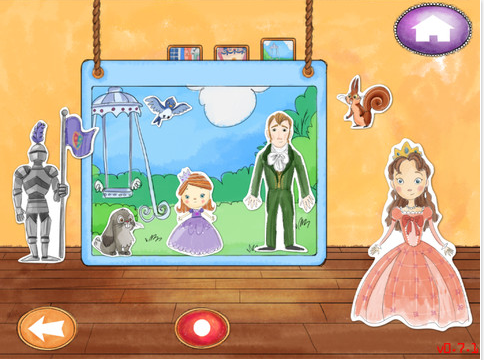 There's also the fun theater part of the app, which allows kids to create their own puppet play, complete with multiple characters, backdrops and songs. CC had lots of fun with it, especially since she loves making up stories and playing them back for Ian and me. Thumbs up, Sofia! 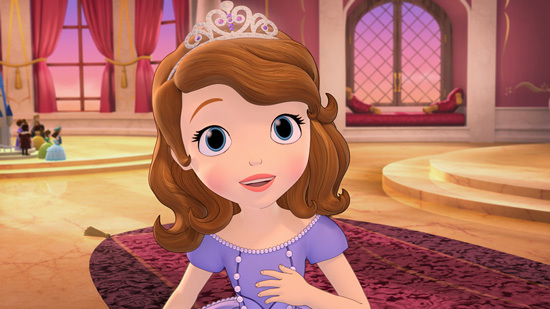 Sofia the First premieres on Disney Junior on Jan. 11. There's a new princess in town, and CC is already excited. In fact, right before bed she asked me when she could see Disney Junior's latest addition, Sofia the First. You might have seen the pilot movie, Sofia the First: Once Upon a Princess, which aired in November, and the series is a continuation of that. The first episode will still introduce her and show her to be a spunky, smart girl, who wants to become the first princess to earn a spot on her school's flying derby team. Sounds like a CC-friendly recipe for girl power! Love that in a princess. Living in Southern California, CC doesn't often get the chance to see snow. Yes, there are the mountains, but we haven't yet made the hike up there yet. Luckily, thanks to some toy samples from PBS Kids, CC got the chance to make her own. 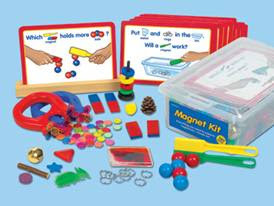 PBS Kids has teamed with deal website Tuesday Morning to offer science-friendly toys for kids at reasonable prices. CC created her own White Christmas with PBS Kids Snow Explosions ($9.99 at Tuesday Morning). It's amazing that she only had to add a bit of water to grow this beautiful faux snow. I'm totally amazed that adding a liquid to something turns it instantly into this crazy dry substance. (How does that work?!) 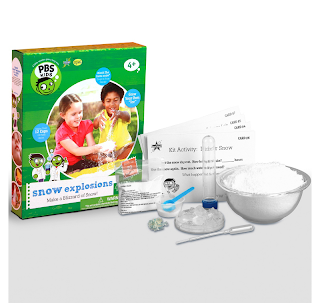 What's awesome is that the pack offers kids the chance to make several science experiments, including fake ice and mini volcanos of snowy goodness. Way to go, PBS Kids, for finding another way to make science fun! Sunday afternoon was all about vaults, floor exercises and balance beams, as CC and I joined a friend from work for UCLA's gymnastics meet at Pauley Pavilion against Southern Utah. The Bruin women were in top form, winning the meet, with senior Vanessa Zamarripa proving her standout status. (When it was Vanessa's turn at the vault, people actually stood up and waved their arms up and down like a bird because she's so graceful. In fact, she was the only competitor to score a 9.975.) Awesome. CC doing her best Plants vs. Zombies impersonation, with a cutout of Lichelle Wong. CC had a different take altogether, though, as she opted to root for Southern Utah instead of her hometown team. I thought she was being loyal to my status as a USC grad school alum (Fight on! ), but not so much. "I like the red team, because their ponytails are prettier." Forget all of those heart-to-hearts about team loyalty (OK, so we really haven't had those), at the end of the day, it's really all about pretty hair. Hope you have a very Happy New Year! Last night, Ian and I stayed in with CC and Baby Will. We had fun making mini donuts (thank you, CC, for that awesome Christmas present!) and toasting 2013. We started a great tradition at dinner last night, going around and saying what we were each thankful for in 2012 and what we hoped for in 2013. I was thankful that I could have a very adventurous and special mother-daughter trip with CC to Berlin. I was thankful that, although Ian's been injured this year, it's given him more time at home with the fam. And, of course, I'm thankful for our new baby. When I've thought about goals for this blog in years past, I've always thought about how I could write more, do more and see more. While I'd still like to do more and see more -- and introduce so much of L.A. to Baby Will, just as I did with CC -- writing more might be kind of a challenge. I'm realizing just how all-consuming two children can be. It's amazing -- I love it -- but it means that I'm not able to blog as often. Maybe after he sleeps through the night, I can get back to a more regular schedule. 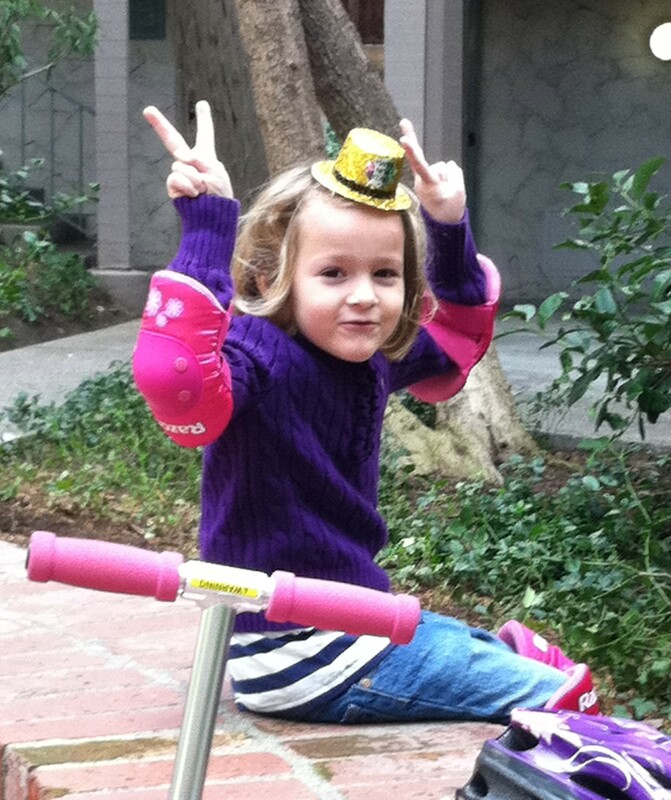 In the meantime, I'm enjoying the kiddos and will share that as often as I can here at L.A. Story. 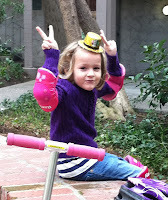 Thanks again so much for reading and sharing in my adventures in motherhood!